It’s here! After 18 months of preparation and detailed production, Unlocking the Mysteries of Genesis is now available. Producing this unique 12-DVD series has been an incredible adventure for our team at the Institute for Creation Research. We explored Grand Canyon, uncovered clues at the Dinosaur National Monument, scrutinized the stars at the George Observatory, and glimpsed the wonder of God at Matanuska Glacier in Alaska. We took a film crew along to record the discoveries—to share with those who want to hear about the accuracy of what God’s Word says about us and our world. While we marvel at God’s creation, this series isn’t just about spectacular images, although God’s magnificent design and beauty in creation are a part of each DVD. Our desire for this series is to change lives—to touch you with truths of science and Scripture that will resonate with your soul. We want to equip you to share these creation truths with others. A woman recently said to me, “Biblical creation and evolution are both miraculous.” And I said, “Yes, I can see how you might say that. It certainly takes faith to believe either one.” She hesitated because that wasn’t where she was going. She meant that the Bible took miraculous faith to believe and evolution displayed miraculous occurrences in science. I knew what she was thinking because I’ve heard it before. But what she hadn’t considered is what this series focuses on: What if science confirms what we find in Scripture? What if science and faith revealed the same truth? Many of us come across those who assume that biblical creation is not compatible with science. They put their faith in speculation about the past and embrace the theory of evolution because they’ve heard that story a thousand times. When they encounter questions about how we got here, they are willing to believe that we came from ape-like creatures, even though clear observations refute that theory. So, how did we get here? We investigate that question in Unlocking the Mysteries of Genesis. 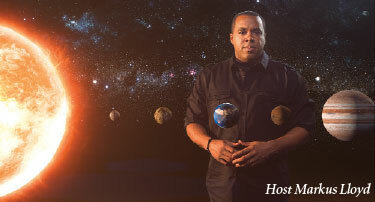 How did the universe begin, and did Noah’s Flood really cover the entire earth? Let’s talk about it—get a conversation started. Let’s impact our culture! 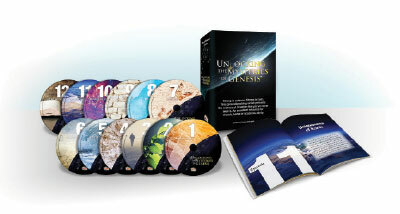 Possibly the one most significant thing you can do this year to promote biblical creation would be to purchase a set of this DVD series, which comes with a helpful guide book, at www.icr.org/umg and share it with your pastor, church, homeschool group, family, and friends. Schedule a showing at your church as a Bible study opportunity, host the series in your home and invite friends, or offer it as part of a youth group retreat. People of all ages—especially the young—have questions about evolution and creation. 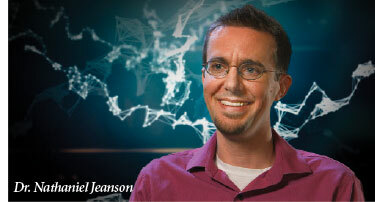 Unlocking the Mysteries of Genesis keeps viewers engaged while providing great answers from both the Bible and science. We poured a great amount of prayer, time, and money into this project because we believe it has the potential to create a critical discussion in this generation, believers and unbelievers alike. Begin a movement that will spread across the country. Please partner with us in prayer and then share this with others. Set out on the adventure with us! Cite this article: Jayme Durant. 2014. Are You Ready for an Adventure?. Acts & Facts. 43 (6).